Essay, Paragraph or Speech on “Digital Revolution” Complete Essay, Speech for Class 10, Class 12 and Graduation and other classes. Home » Languages » English (Sr. 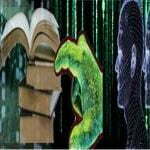 Secondary) » Essay, Paragraph or Speech on “Digital Revolution” Complete Essay, Speech for Class 10, Class 12 and Graduation and other classes. Throughout the 20th century, the pace of technological advancement has increased dramatically. The digital revolution, now upon us, is expected to take giant strides in the 21st century. Companies are manufacturing audio and video sets communications and Information Technology (IT) products for the consumer and professional markets. Companies have developed a wide product portfolio which includes goods that have become integral part of modern lifestyles—from magnetic tape and tape recorder to transistor radio to all-transistor television, colour video cassette-recorder, computer, etc. The compact di minidisc systems have radically changed the music industry more recently, companies have introduced DVD-video. Companies have not only been a market leader in consumer electronics, but has also become a major player in the world of professional broadcasting, telecommunications, PC technology and now the Internet. These four market segments are rapidly merging as digital technology which increases the potential in each area. For example, television has, to date, been largely limited in terms of content and application, but it is essentially just a box of electronics. Many of the latest televisions have the capability of Internet access and many experts believe that the future will see the integration of the personal computer and television. Companies aim to create a network environment within the home from which consumers can access specific video or audio selections whenever they want. In order to harness the potential of digital technology for the purpose of providing enjoyment to people around the world, firms have developed a concept called Digital Dream Kids. They want to identify the dreams of the young, digitally literate generation of consumers and translate them into unique, fun products and exciting applications, supplying products that fulfil the dreams of their customers. To achieve this target, it requires a seamless merging of content, hardware and technology. This concept has become central to the corporate strategy for various companies. The key to success in this challenging and highly competitive technological marketplace is effective innovation and the continual development of new products. All new product development has to go through a number of stages. New products have to be conceived through a process of imagination, creativity and inspiration. These new ideas must then be screened and evaluated from both production and financial perspectives. Successful ideas will be developed in the laboratory and undergo thorough test marketing before they can be launched. Market research is crucially important throughout these processes, both of the potential market and of the product, but often with such innovative products as the play station and walkman, companies are anticipating a desire that consumers have yet to appreciate. They have literally created the market for these products. Market research is vital in keeping in touch with consumers’ dreams. Not only do the designers and engineers have to be of the highest calibre in their own fields, but they must also be able to empathise with the Digital Dream Kids. All research and development is carried out using ‘an earth-conscious approach’, designed to use fewer natural resources in production and operation, and in line with the overall corporate mission statement. Research is both short term, looking at specific products, and with a long term view, investigating, for example, raw materials or bionic processes. Digital television uses the same language as computers and compact discs, breaking the information to binary bits, a series of ones and zeros, which are then transmitted to the television. Unlike with analogue, these signals cannot be degraded, resulting in far superior quality of pictures and sound. Reception by aerial, satellite or cable has meant that consumers can now receive up to 164 different channels as well as home shopping, banking and information services. Internet access and cheaper phone calls are also available options. Companies helped to pioneer the development of digital formats for audio-visual products, starting with the compact disc. They are now pushing forward with their mission to consolidate the audio-visual and IT industries. The product mix has placed the companies in a unique position making them able to do this. All future product development has to conform to Video Audio Integrated Operation (VAIO) strategy, with the aim that all products brought to the market place will not only be compatible with each other, but that, in time, can become one. Connectivity brings much greater flexibility than the traditional stand-alone products. For example, the new digital camcorders have an interface to allow the downloading of images directly onto the PC for editing. Companies launched the WEGA Digital flat Widescreen television that includes an array of extra programming to enhance the potential of the set and state-of-the-art digital picture and sound quality. The digital television is being developed so that in the future it will meet all the consumer needs, a one-stop entertainment shop. The pace of technological progress has forced fundamental changes on the corporate structure, with their adopting a horizontal, rather than vertical organisational structure for the first time in its fifty-year history. This was designed to speed up decision making and market responsiveness. In the digital realm, where change is no longer a punctuating event so much as the steady-state principle of things, we have learned to turn a wondering, or bemused, eye upon whatever is the latest—and then, shrugging or not, to adapt. E-mail is already a part of our central societal nervous system; virtual reality and smart environments—once part of the fantasy of Jetson futurism have become more likely every day. The impact of technological change on a firm is usually considered an external influence. For example, by taking such an essential role, driving the markets forward through its innovative research and development, Sony has been able to become a proactive force, rather than having to react to changes. «Essay, Paragraph or Speech on “Judicial Accountability” Complete Essay, Speech for Class 10, Class 12 and Graduation and other classes.